Houston has always been known as laissez-faire kind of city, with development and growth patterns and a unique culture that sets it apart from other places. In 2014, the City of Houston sought to adopt its first-ever general plan. A comprehensive plan with a community-identified vision and goals would guide the city’s future. Houston, always a market-driven city with a strong-mayor form of government, lacked the political will to adopt a general plan until recently. 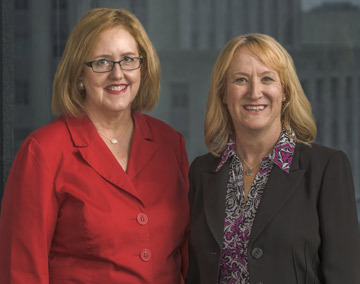 Plan Houston was adopted by the Mayor and City Council in September 2015. The plan had to include citywide input from all stakeholders – citizens, community groups, business leaders and more. And it had to be completed in one year, a short timeline for a city process. 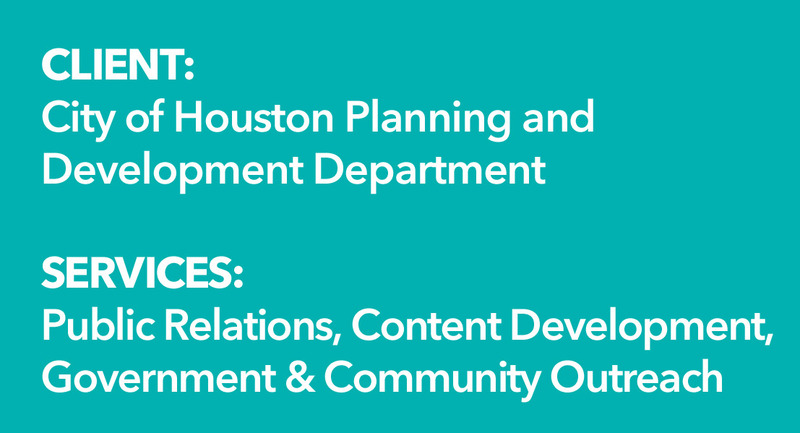 An extensive community outreach and communication plan was needed to inform Houston’s diverse communities and stakeholders and build consensus. Suzy Hartgrove, who was the planning and development’s public affairs manager at the time, spearheaded critical communication efforts that included reaching out to all of the required stakeholders across the entire city and providing them with the information about the initiative and entice them to participate in the process. She oversaw strategic content development, media story placement, digital newsletters, extensive social media posts, public meetings and handouts to inform participants throughout the process. 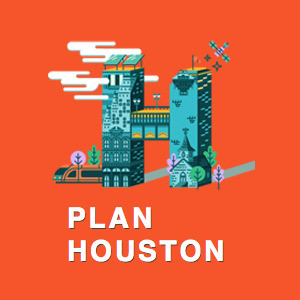 Plan Houston architects achieved huge success and created citywide goals and strategies to guide Houston’s growth, enhance the quality of life in Houston and better coordinate efforts to make positive changes for the future. Plan Houston and its website, www.PlanHouston.org, garnered two covered Bronze Quill Awards of Excellence from the Houston Chapter of the International Association of Communicators. The creation of the Plan was led by the City of Houston Planning and Development Department, along with the stakeholders and a consultant team. 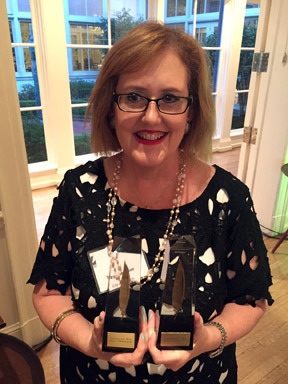 Plan Houston and its website, www.PlanHouston.com, garnered two Bronze Quill Awards of Excellence from the Houston Chapter of the International Association of Communicators.